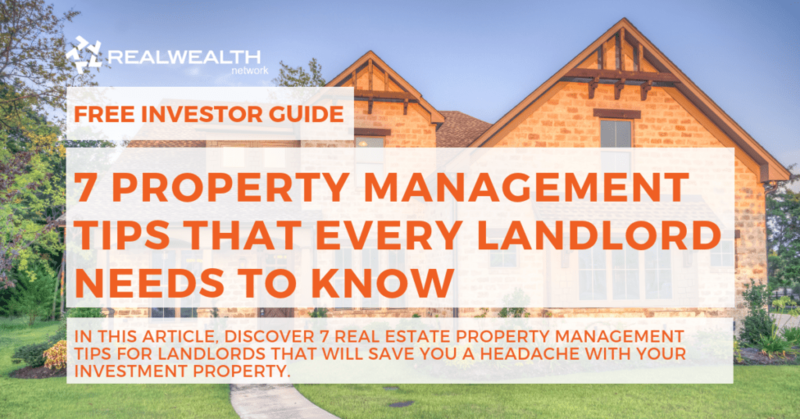 Summary: In this article, discover 7 real estate property management tips for landlords that will save you a headache with your investment property. This article is based on a Real Wealth Network webinar where our expert explained the in’s and out’s of investment property management and how you can be a successful landlord. Introduction – What is Real Estate Property Management? Property management is different than simply owning real estate investments. In fact, when you own a property, but want to lease it out, you are entering into an entirely different realm of investing. If you choose to “go it alone” as a property manager, then it will be your responsibility to interact with tenants and potential tenants. Ultimately, it will be your decision to determine who will lease your property, when and how you will collect rent, how you will market your rental property, as well as resolving all maintenance and repair issues. With all of these factors in mind, you can greatly simplify your life by working with a trusted property management company and following these seven property management tips. The role of property manager is one that will require you to wear several hats. In act, rental property management has four key components: tenant placement, lease terms, maintenance, and lease renewal. In order to excel as a property manger, you must ensure that you can meet the needs of each of these categories. If you’re at all hesitant about fulfilling your duties within any of the following categories, then once again you should consider working with a property management company. Throughout the entire lifetime of your rental property, you will need to find tenants several times over. While quickly finding responsible tenants is one of the keys to a successful rental property, there are several factors and steps that must first be carefully considered. List your rental. — As simple as this sounds, far too often landlords simply put a sign out front and expect to find “the perfect tenants.” Instead, you should actively market your rental. Make sure that you give yourself enough time to find new tenants by listing your rental before the previous tenant’s lease has expired. Of course, you must first confirm that the tenant isn’t planning on renewing their lease before you spend money marketing your rental home. Show your property. — In order to find the right tenants, you will need to show your property to interested parties. Make sure that you follow all tenant laws when showing a property that is still occupied. Each state varies, which means that some states prohibit landlords from showing a unit that isn’t vacant. Other states require at least 24 hours notice before you can show the property. During the showing be prepared to answer any of the potential tenant’s questions. After the showing, you should give them a property flyer (complete with your contact information). Plan on following up after each showing to determine if the tenant would like to move forward with the leasing process. Review applications. — Tenant applications will have to be reviewed carefully. During this review process make sure that all of your evaluations comply with fair housing rules. As part of your evaluation criteria, you will want to complete a background and credit check, contact their listed referrals, review their rental history, and ensure that all provided information is accurate. Additionally, you will need to verify that the applicant’s income is not higher than 30 percent of the listed monthly rent. Accept or reject an applicant. — If you determine that the applicant is qualified, then you will need to let them know that their application has been accepted. At this point, the applicant will typically have a set period of time to pay the security deposit and any other move-in fees. This is also a great time for the applicant to apply for renter’s insurance (something that you will need to verify before the tenant moves in). If, however, you decide that the applicant is unqualified, then you will need to let them know via a phone call and written notification. Once again you will need to ensure that the listed reason is in compliance with fair housing rules. The lease agreement is a critical component of rental property management. As such, it is important to note that the lease agreement is a legally binding agreement between the tenant and you, which means that it needs to be incredibly thorough. The lease should address property rules and expectations, policies, and conflict resolution procedures. While there are generic lease agreements available online, it is important that you customize the lease to meet any local requirements. If you have hired a property management company, then you will be off the hook for the lease agreement. However, if you are planning on doing everything yourself, then you will want to make sure that you have a legal professional review your lease. Additionally, you should plan on using the same lease agreement for all tenants (changing applicable information as needed, such as name, unit number, lease start and end date, monthly rent, etc.). It is important to note that even if you use the same lease agreement for all tenants, you will still need to update the lease in accordance with any new laws or ordinances. Finally, make sure that both you and the tenant have a copy of the signed lease throughout the entire rental term. Things break; this is a fact of life. As a property manger, it will be your job to resolve all maintenance issues in accordance with the lease terms. For example, the lease terms might state that you are responsible for resolving any plumbing issues, which means that if the kitchen sink starts to leak, you will need to either fix it yourself or hire a plumber to do so. Additionally, you will need to perform seasonal maintenance on the property, such as checking smoke and carbon monoxide detectors, changing HVAC filters, and completing an exterior property check. It is important that you submit a lease renewal notification in accordance with fair housing rules and any applicable local ordinances. While some states have tenant protection laws that limit the percentage you can increase rent, other states allow you to increase the rent as much as you like. Regardless of which type of state you live in, it is important that you are fare. After all, it can be a costly endeavor to lose a tenant and search for the perfect replacement. Additionally, make sure that you follow the lease renewal procedures, as they pertain to the current lease. For example, you might have noted that the tenant is required to give a minimum of 60 days notice if they are planning on renewing or vacating the property. In case after only one tip you are already overwhelmed by the role of a property manager, there is a bit of light at the end of the tunnel. Instead of doing everything yourself, you can hire a property management company. With this in mind, there are four important parts of the property management agreement that you’ll need to carefully consider. The time frame of the agreement. I.e. how long will you be hiring the property management company? The duties, responsibilities, and role of the property management company. It is very important that there is no “grey area” when defining the role, responsibilities, and duties of the property management company. What, if any, responsibilities does the landlord have? Remember that while a property management company is meant to make your life easier, they aren’t necessarily responsible for every aspect of your rental property. By clearing defining roles and expectations you are more likely to enjoy a successful landlord experience. The second portion of the property management agreement will clearly outline any fees or payments that are owed to the property management company. For example, many property management company’s require a minimum payment of one month’s rent for leasing, marketing, and managing the property. However, fees and payments will vary from company to company, as such it is very important that you read the fine print and choose a reputable company that is up front about expenses. The non performance portion of a property management agreement clearly outlines the conditions needed for you to replace the property management company. For example the non performance section might state that if the property has sat vacant for 3 months, then you can replace the company without incurring any type of fee. Some property management agreements will have a non-performance clause. This type of clause typically states that there are no conditions that allow you to break the original property management agreement penalty (or fee) free. This portion of the property management agreement clearly explains what happens when the tenant moves out. From denoting the timeline between move out and next tenant move in (keeping in mind that some states require a unit to remain vacant for a certain period of time in between tenants), to explaining the entire move in and move out process, this section will play a key role in helping you understand the financial potential of your investment rental property. This section of the agreement will also explain any costs associated with move ins / move outs, as well as the fees for getting an apartment ready. For example, the apartment might need to be cleaned or items might need to be replaced before a new tenant can move in. From an investor’s standpoint, one of the top benefits of a property management company is that they provide reports and easy payments. With this in mind, you will need to ask two important questions. In what form will the report come to you and how often? Like any company’s stockholder report, a property report is designed to help you understand the current state of your investment. Is it making money? If so, how much? Does it have a high turnover rate? Are the tenants dissatisfied or happy? Are maintenance costs higher in one season over another? How does the property compare to comparable rental properties? Why should you spend 15 minutes per property per month reviewing reports? Like owning any investment, the time you spend reviewing it on a monthly basis is immeasurable. As you can see through the preceding section’s questions, a property report offers vital insights into the health of your investment. Each month, you should spend approximately 15 minutes reviewing these reports. If there are any red flags, or you have any questions, comments, or concerns, you should immediately bring them to your property management team. In this vein, not only does the property report give you the health of your investment rental property, but it also serves as a report card for your property management company. Everyone communicates differently. However, when the time is right for you to select a property management company, it is important that you know how they communicate both with you and the tenant. After all, if the company prefers to send text messages, but you like emails, then you are less likely to enjoy a relationship built on clear and helpful communications. How do they communicate with tenants / investors? Knowing how a property management company communicates with a tenant can tell a lot about what they value as a business. For example, does the company offer a personal touch by calling tenants? Perhaps the company prefers to keep things convenient for the tenant by offering a secure online portal where rent can be paid, maintenance requests can be submitted, property reports can be reviewed by investors, and communications can be delivered. Alternatively, the property management company might have an app that is used for communications and property updates. Email and texts are two additional channels that the company might use to communicate. No matter the form of communication, it is important that the company is clear, friendly, informative, and mindful of every tenant’s needs. When it comes to rental property management, evictions are something that can occasionally occur. With this in mind, it is very important that as the property owner and manager that you follow all of the rules and regulations governing evictions in your state. 1 – Is the state landlord friendly? Some states are considered “landlord friendly,” which means that they protect the landlord in the face of a tenant eviction. If the state is “tenant friendly,” then it is often much harder for a landlord to evict a tenant. Regardless of the state’s status, an eviction can only occur if certain criteria are achieved and / or if certain sections of the lease agreement are broken. Additionally, while a tenant can contest an eviction, it will be the landlord’s job to prove that an eviction needs to occur. 2 – How long does it take? The length of time to evict a tenant will depend on state laws. Some states give tenants as little as three days to vacate the property once an eviction notice is received. However, other states protect tenant rights by allowing up to 60 days to vacate the premises after the eviction notice is received. In addition to any legal fees, an eviction can often result in additional maintenance, marketing, and tenant application costs. After all, once you have successfully evicted a tenant, you will have to ensure that the property is back in top shape before you can lease it to a qualified applicant. If you choose to use a property management company, it is important that you carefully complete the following roles and responsibilities each month. As mentioned in Tip #2, it is very important that ever month you spend at least 15 minutes per property reviewing their report. This report will give you the insights you need to know if a) the property is performing as expected, b) if you are maximizing your ROI for the property, and c) if the property management company is meeting or exceeding expectations. You are putting yourself, and your property management company, at a disadvantage if you fail to read and respond to their emails in a timely manner. Remember, effortless communications are key to a successful business relationship. Like any business relationship, if you want it to be successful, then you need to be reasonable. If something isn’t working out, then you need to clearly communicate about the issue with the property management company. Based on their response, you should give them the time needed to correct the error. If, however, the issue worsens or they are unresponsive in their efforts to correct the error, then you should be open and honest in your desire to work with either a new property manager or an entirely different company. Tip #7: 5 Steps to Find the Right Property Manager for you? Finding the right property manager is vital to owning a successful rental investment. Through the following five steps, you can more easily determine if a property manager is the right fit. A trusted property manager should have glowing references. Double check that the references come from industry professionals, previous tenants, and investors who own similar types of properties. For example, a property manager who is used to managing an entire condominium might not be the best fit if you have an oceanfront vacation home that needs seasonal rentals. Always read the fine print. You don’t want to find out too late that there is a cancellation clause that penalizes you for breaking the agreement ahead of time. You also want to make sure that there aren’t any hidden fees. Once again, communication between the property manager and the tenant (and you) is key. With this in mind, check out the tenant and landlord portals. Are they easy to use? Do they offer clear insights on the property? Is it easy to download, comment on, and read property reports? Does the portal work on smartphones, laptops, and tablets? Does it simplify life for the tenant and you (the investor)? Knowing how a property manager handles hard situations is vital if you want to own a long-term investment rental property. While it is nice to think that every tenant will be “perfect,” or that every property will experience little to no overturn, the reality is often quite different. Knowing how the property manager handled himself when a difficulty arose, such as an eviction, will help you to determine if he is the best fit for your property and anticipated needs. Don’t be afraid to shop around. 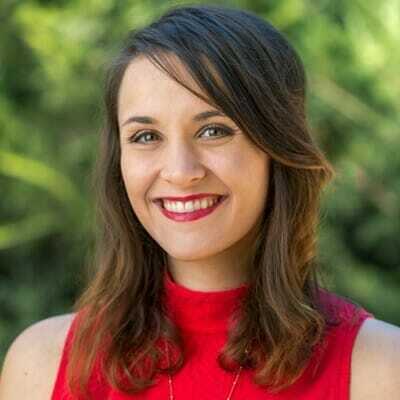 It is okay to interview more than one property manager. Be sure to compare strengths and weaknesses of each candidate, before you make your final selection. 1 – How much money should you put aside for capital repairs? There is typically a standard rate of $200 that property managers will assign to each property for single repairs. This standard rate is based on the type of property, as well as the type of repair needed. For example, it might be an emergency repair or basic maintenance. Regardless of the type of repair, the standard rate also refers to the monetary threshold that needs to be met before the owner is contacted. For all repairs, the cost is clearly noted in the monthly property report. 2 – How much do repairs typically cost? Repair costs will vary based on whether they are considered “regular maintenance” or are an “emergency.” They will also vary in cost depending on the type of repair. For example, fixing a leaky roof can be far more costly than replacing the kitchen sink’s faucet. 3 – How much is a reasonable amount to pay a property manager? Property manager fees vary greatly, which is why it’s important that you carefully read the fine print before selecting a property manager. From flat rate fees to a percentage of rent fees, there are several ways that property managers determine how much they are owed by property owners. The key to knowing what is “a reasonable amount” is analyzing the cost of the property manager vs. the services that they provide to you, the investor. 4 – What is the tenant security deposit used for and why is it important? The use of the tenant security deposit depends on the lease agreement, as well as the state’s governing laws. Generally speaking, the security deposit is first applied to any move out fees or rent that is still owed. Next, it will be applied to any damages (beyond excepted levels of wear and tear) to the rental unit. By following the above seven property management tips you can greatly simplify your life, enjoy owning an investment rental property, and maximize your ROI. Whether you choose to use a property management company, or decide to be your own property manager, the information provided in this post will help you to avoid costly mistakes as you seek to make the most of your rental properties.